Looking for a Web Designer in Boulder, Colorado? Our team of 16 Website Designers in Boulder, CO is here to help. 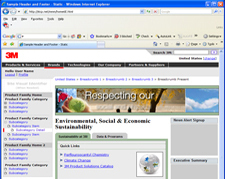 Customer Paradigm was chosen to design the sustainability section for the 3M.com website, based in part on our eco-friendly experience in Boulder, CO. Customer Paradigm helped design marketing campaigns for BP Solar to help homeowners in Boulder, Colorado put solar panels on the roofs of their homes. 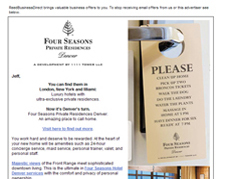 Boulder-based Customer Paradigm helped the Four Seasons create electronic marketing campaigns for a property in Denver, Colorado. 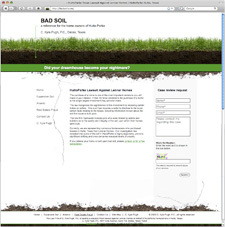 When homeowners faced cracks in their foundations because their homes were built on “bad soil”, Boulder-based Customer Paradigm helped homeowners take action. 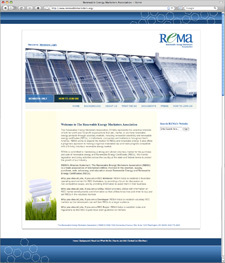 When the Renewable Energy Marketers Association needed a website + a way to communicate internally with all of their members, Customer Paradigm in Boulder, Colorado designed a site and backend system for them. If you’re in the process of looking for a Website Designer in Boulder, Colorado to help create a new, cutting-edge website, or simply make content and design changes to your existing site, Customer Paradigm’s team of website developers and designers can help. We can design a new web site from scratch, or work with an existing designer. We’re great at updating existing sites with new content, or changing the navigation. If you need help adding new components to your site, like a content management system, eCommerce shopping cart, blog, calendar or event registration system, we can help. Our web programming team in Boulder, Colorado (80303) can take a look at your site and make recommendations for how to better optimize your site, so that it will be indexed more easily by search engines. The name of our company is Customer Paradigm. We try to always think in a customer-centric way, and look out for the best interests of your end customers. We know that when we can create cutting-edge media and marketing campaigns that make the lives of your end customers better, faster, cheaper, easier, everyone wins. We have a real office in south Boulder (off of Table Mesa – South Boulder Road), where you can come in and meet face-to-face with your designer and project manager. Our web-based project management system allows us to keep all of our website design projects in Boulder, Colorado on-time, on-budget and create loyal, satisfied clients. For each and every website design project that we do with local clients in Boulder, Colorado, we sit down and have a face-to-face meeting to review goals for your website. What are you trying to accomplish with a new website? How can we help you measure success from building out a new website? How does your business make money? What’s your profit model? What challenges is your business currently struggling to address? What is the typical touchpoint-to-sale process for your company? Is your company currently leading, keeping pace, or playing catch-up in your market segment? Who is the target audience that’s going to be visiting the website or interacting with you? What’s a typical profile of someone who makes a purchase from your company? Why do people buy from you vs. someone else? If your company was a brand of car, what make and model of car would you be? If we apply this same question to a retail shopping store, what type of store would you be? We then move into a design conversation. Our goal is to design a site that appeals to both parts of the end user’s brain – the logical left side that engages with words, text and copy, and the creative right of the brain that reacts to images, colors, shapes, sounds and motion. We try to present a balanced approach that will make people feel comfortable about the site, and increase trust and confidence in you as a company. We look at your current website, and sites of your competitors, as well as similar sites that resonate with your target audience. We will put together a wire-frame layout of the site, that describes the various sections of the site, custom functionality (i.e. random testimonials displayed on all pages, or animated top header for the site). 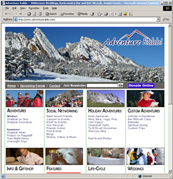 Our Boulder-based website designers then create 2-3 different custom-designed website layouts for you to review. We can send these website designs to you via email, for you to review, or we can meet again in person to review what you like, and what you don’t. The sample layouts are “flat” graphics — meaning you can’t click on links or images. This makes it very easy to modify the design, before we begin the process of building out the site. We will use your existing company colors, logo, photographs and artwork, or we can create a new logo or find compelling photographs for your new layout. Based on your feedback, we will keep working to refine the look and feel of the site, until we design a layout you love. Our PageDirector content management system (CMS) allows us to rapidly deploy websites, keep content organized, make it easy for search engines to index the site, and even gives you, the customer, control over adding new pages to the site or modifying content on existing pages. Because our CMS is a database-driven site, it allows us to easily create and deploy a mobile version of the site, multi-lingual websites, or even personalize the website based on what keywords a visitor entered into a search engine like Google. We built the PageDirector system from the ground-up, based on our website design clients here in Boulder, Colorado, who wanted control over their sites, but also was something that was easy to use. And search engine optimization was top of mind in the design. Because most of our new sites are built using our PageDirector content management system, it allows anyone in the organization to know how to update your site quickly and easily. All of the files are in common locations. It’s important to note that each website developer (even right here in Boulder, Colorado) tends to code out a site differently. Working on an existing site, we have to sift through the code on a pseudo-archeological expedition to find where to modify content. With our system, everything is streamlined and organized, so anyone can easily make changes. And then, we push the new site live, and help you drive new and existing customers to your new site. We view the website design process with our team here in Boulder, Colorado as the beginning of a long-term relationship. We want to help you as your business changes and grows, and keep you in front of the curve. Our team of Website designers is here in Boulder, Colorado. No need to try to work with someone who works out of their basement five states away! We try to always answer the phone, and call you back promptly. You work directly with a web designer as well as a project manager, and have their direct phone number and email address. We give back to the community through pro-bono or discounted work with non-profit organizations whose missions are to make the world a better place. Many of our team commutes to work in Boulder by bicycle, and we strive to have a low-carbon footprint. Everyone in the organization is dedicated to looking out for the best interests of your end customer. We are always staying ahead of the technology curve to bring you proven technologies, strategies and tactics that can help make your business or organization more money. Call 303.473.4400 or Click Here to have a real person contact you now.